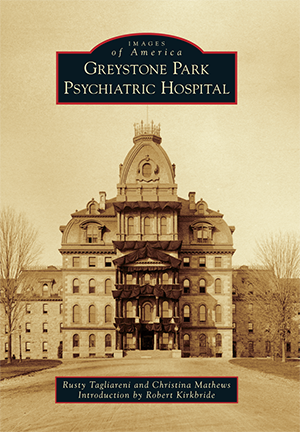 The Greystone Park Psychiatric Hospital was more than a building; it embodied an entire era of uniquely American history, from the unparalleled humanitarian efforts of Dorothea Dix to the revolutionary architectural concepts of Thomas Story Kirkbride. After well over a century of service, Greystone was left abandoned in 2008. From the time it closed until its demolition in 2015, Greystone became the focal point of a passionate preservation effort that drew national attention and served to spark the public's interest in historical asylum preservation. Many of the images contained in this book were rescued from the basement of Greystone in 2002 and have never been seen by the public. They appear courtesy of the Morris Plains Museum and its staff, who spent many hours digitally archiving the photographs so that future generations may better know Greystone's history. Rusty Tagliareni and Christina Mathews joined Greystone preservation efforts in early 2013. They quickly became public supporters of the rehabilitation of the venerable old asylum and spoke publicly on topics ranging from the viability of reuse to the controversy surrounding numerous rejected rehabilitation proposals. In 2015, they brought Greystone to a national stage when they presented at the PreservationWorks national Historic Asylum Preservation Conference.